The Westbeach EXO 3 is perfect for children who want to take up stunt-scootering. 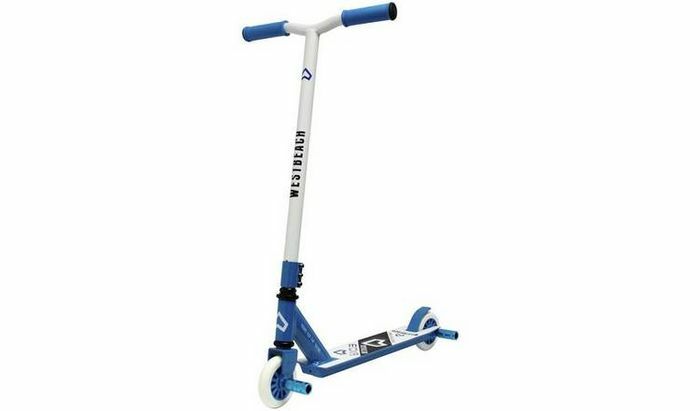 This high quality scooter gives you top specifications at amazing value. Two stunt pegs are fitted to open up a realm of different, exciting tricks and the anti-slip footplate is perfect to boost your scooter skills. Seagull handle bars. Triple stack clamp. Stunt pegs hi bounce pu wheels anti slip footplate easy grip handles, abecc 7 bearings.